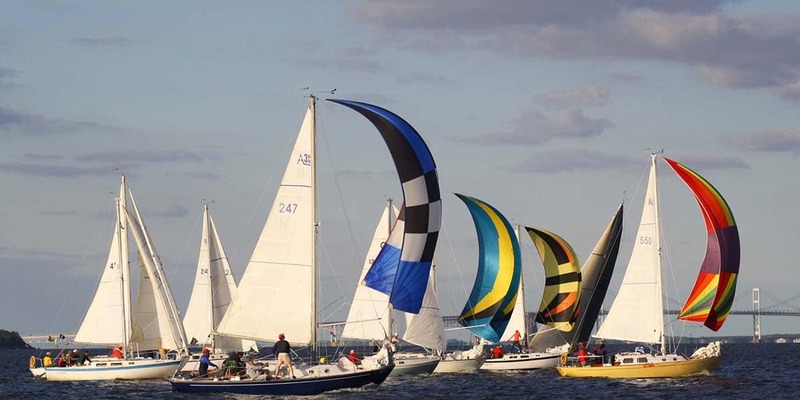 Sailing and boating are favorite summertime hobbies for many. The Lendy Cowe’s Week, one of the world’s most famous regattas or boat races, is also coming up on August 4 -11, 2018 in Cowes, UK. While it’s fun to head out into the waters, the downside is, sailors and boaters are especially vulnerable to UV rays because of the long periods they spend under the sun. This can lead to sunburns, skin damage, and in worse cases, even skin cancer. To help you avoid a sunburn while boating or sailing, we’ve gathered a list of essential sailing sun protection tips. First thing’s first, sunscreen is definitely a must when you’re out on your boat on a sunny day. Find one that’s broad-spectrum and has an SPF of at least 30. Since you’ll be out in the waters, it’s also good to find one that’s water-resistant. Different sunscreens offer different levels of water resistance (usually 80 or 40 minutes) so make sure to find one that suits your needs. Remember to apply it to every sun-exposed area, including the rim of your ears and back of your neck. This is of the main sailing sun protection methods in the past. Have you thought about the reasons behind the pirates clothing style? Long sleeves shirts, long pants, bandannas or headscarves and wide-brimmed pirate hat. Fortunately, now you can find UV protective clothing easily for more sun protection. These clothes contain an Ultraviolet Protective Factor (UPF), which tells you how well the material shields your skin from UV rays. If you’re planning on taking a dip in the waters, there’s even UPF clothing that’s specifically designed for swimwear. It’s not just your skin that can get damaged by UV rays; your eyes are also at risk. Sunglasses are the key here. Make sure to find a pair that blocks 99-100% of UVA and UVB rays, or that offer UV absorption of up to 400nm. Besides protecting your eyes from UV damage, they can also help you improve visibility and comfort on the water by reducing light intensity and filtering out glare. When you’re out for hours at a time on your boat, it’s important to take breaks out of the sun and seek shade. For some boats, you have the choice of retreating inside your boat for a shady break. Depending on your vessel, you could also consider installing sunshades directly on your boat. These are great since you’ll still be able to enjoy the nice breeze while staying protected from the sun’s rays. There are also boat umbrellas that are designed specifically for boating that can offer UV protection. Remember the UV rays reflect from the surface of the water. So, even if you are under a shade, still you need to use other sailing sun protection methods as well. 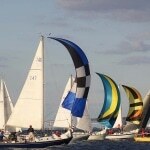 QSun is a free sun safety app that’s great for taking out with you for sailing sun protection. Available for iOS and Android, it’ll let you know how long you can still out in the sun before getting a sunburn. It’s also got lots of other cool features, like reminding you when it’s time to reapply sunscreen, and letting you know if a sunscreen is water-resistant through barcode scanning. You can even adjust for the environment to get accurate sun safety tips when you’re out on the waters.